The need to have SR-22 insurance indicates that you are a high-risk driver. If you are facing a significant violation of your driving privileges, the court may require that you obtain this type of auto insurance. It specifically provides a higher level of protection for other drivers. It can be very important to maintain this policy in accordance with your state’s laws and the specific requirements of your agreement. Understanding what those requirements are should be important because not maintaining this car insurance could mean that you lose your license. If you are required to maintain SR-22 insurance and it lapses, which means you fail to make the required payments to maintain the coverage, you could face serious fines and penalties. If this happens, the insurance provider is required, under state law, to report it to the Department of Motor Vehicles. Nearly immediately, the DMV will then suspend your license. It is possible that the DMV will also revoke your license. When this happens, you are not legally able to drive. When this happens, it is important to act quickly. First, work with your auto insurance provider to get the payment caught up as soon as possible. You will need to bring the payment current to have another SR-22 filing. This will then alert the DMV of your new coverage. In some cases, you will also have to pay to have your license reinstated, a fee paid to the DMV. All fees must be paid before the DMV will allow you to obtain your license again. In addition to this, most states will require that your new SR-22 filing period will start over. For example, if you were told by the court you must maintain an SR-22 for three years, and you allow the plan to expire after two years, you’ll have to start over and work to maintain the policy for an additional three years. For this reason, it’s important to keep on track. Do you have the right coverage? 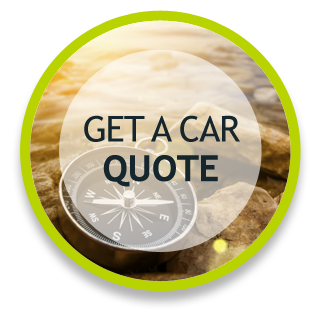 Call Peachstate Insurance at (877) 997-2478 for more information on Stockbridge GA SR-22 auto insurance.